The Red Snappers have docked in the Grand Lagoon! So get on the water, & experience what so many of our local businesses have to offer. This is one of our most exciting times of the year, and seeing what the anglers bring in to shore is a sight to see! Visit Panama City Beach, FL! 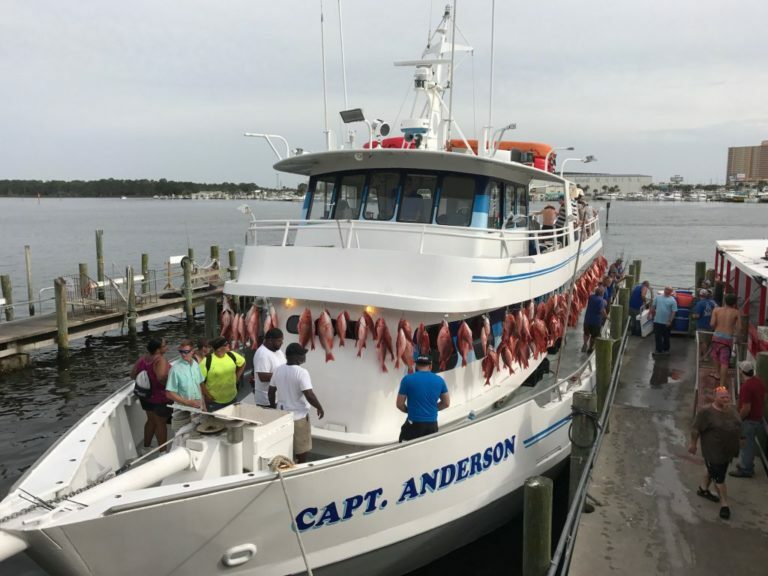 Have fun with Aquatic Adventures, Capt Anderson’s Marina, Capt. Bob Zales Charters, Capt. Mike Charters, Diver’s Den, Friends Of Shell Island, Hook’em Up Charters, Jubilee Deep Sea Fishing, Legendary Marine, MarineMax, Osprey Charters, Paradise Adventures, Panama City Diving, Pirates Cove/Lighthouse Marina, Sea Dragon Pirate Cruise, Sea Screamer, Shell Island Shuttle, & Treasure Island Marina! Gear up at Buster’s Beer & Bait, and Half Hitch Tackle! Dine and watch the show at Capt. Anderson’s Restaurant, Dockside Seafood & Oyster House, or The Grand Marlin of Panama City Beach.